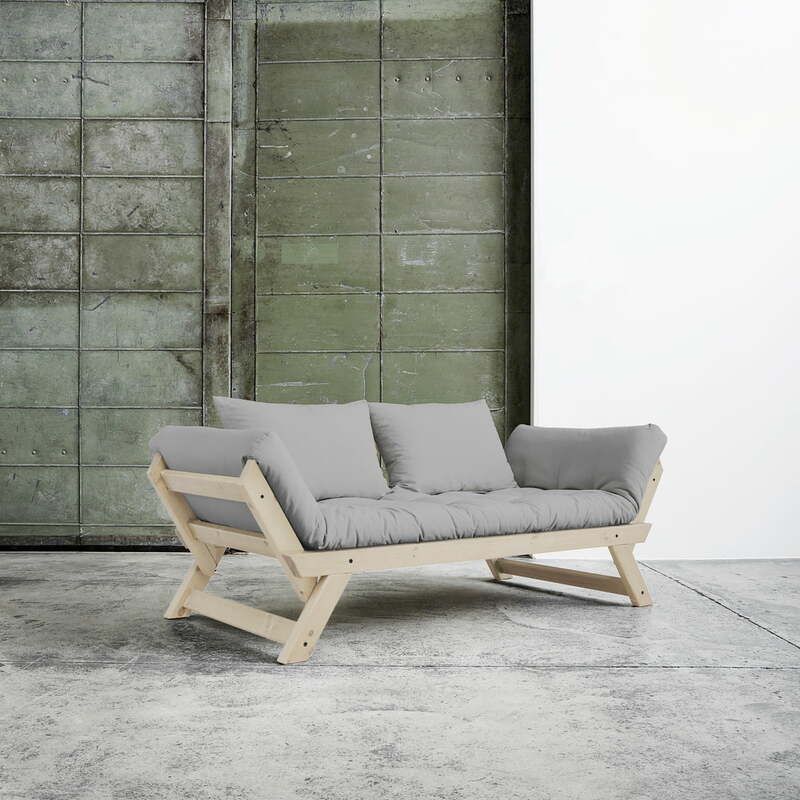 The Bebop sofa from Karup is a sofa, lounge chair and bed in one. With the Bebop, you get a timeless and comfortable piece of furniture that has three functions in one. As a sofa with two armrests, the Bebop offers enough space for two to three people. 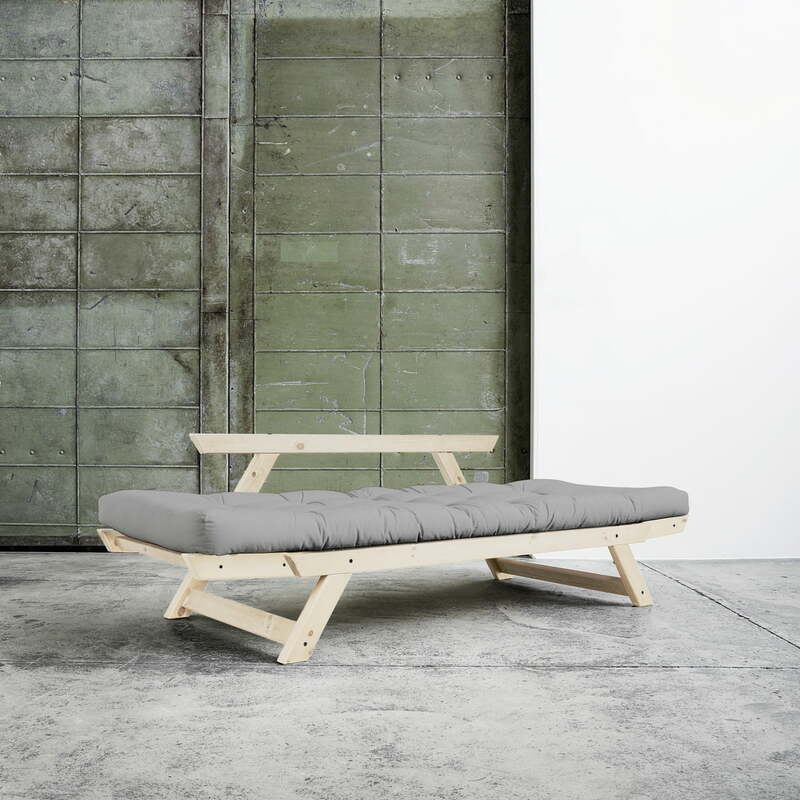 If you fold down one armrest, you will get a comfortable daybed, on which to relax and read. With both sides folded down, the sofa becomes a bed. It is ideal for taking a nap, as well as for overnight guests. The frame of the Bepob consists of FSC certified wood, which is available in various untreated or varnished colors. A basic futon mattress rests on the frame. The filling of the futon is made up of 4 layers of cotton and a 4 cm thick foam core. The fabric, which is available in various attractive colors is made from polyester and cotton. In addition, three matching cushions are included. 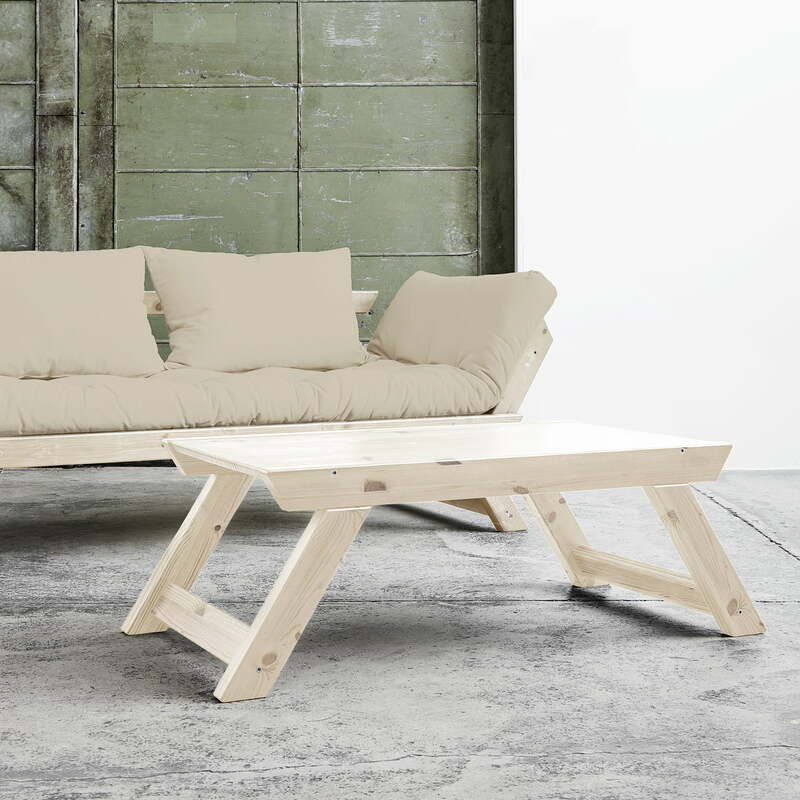 A Bebop table is also available, matching the Bebop sofa. As a sofa with two armrests, the Bebop offers enough space for two to three people. If you fold down one armrest, you will get a comfortable daybed, on which to relax and read. With both sides folded down, the sofa becomes a bed. 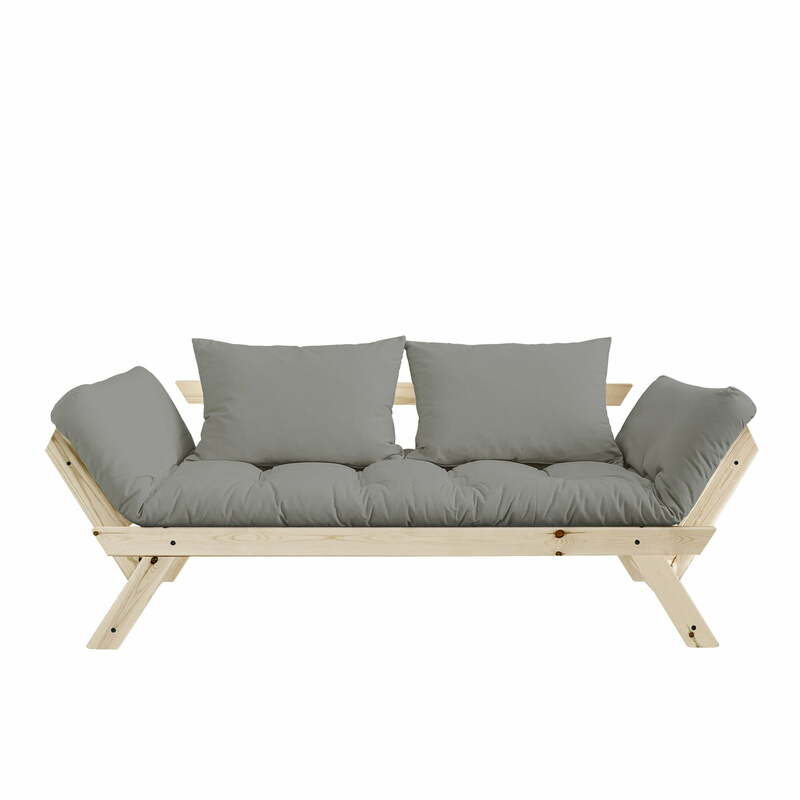 As a sofa with two armrests, the Bebop offers enough space for two to three people. 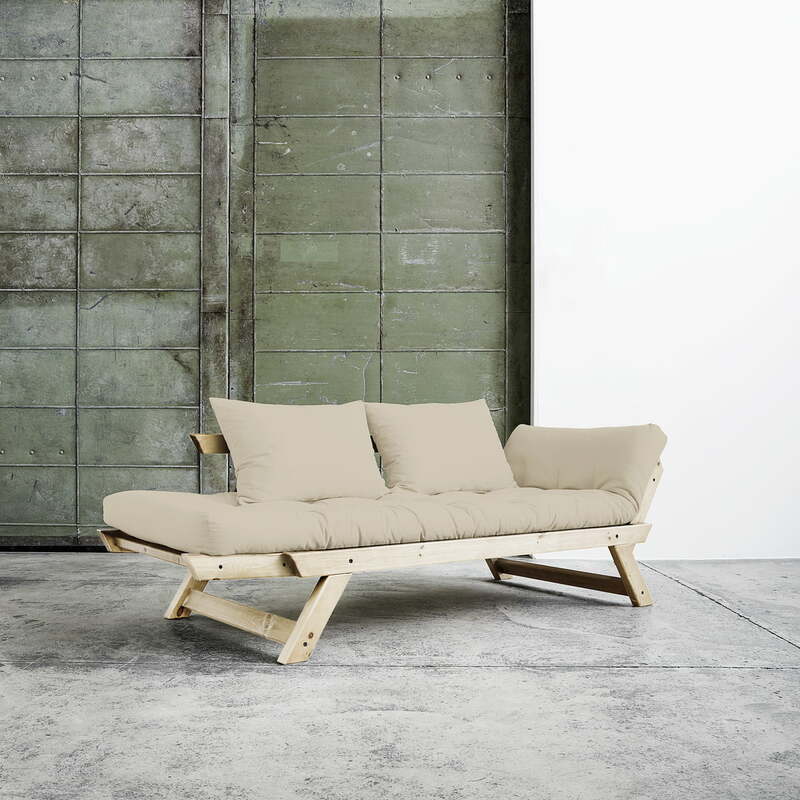 If you fold down one armrest, you will get a comfortable daybed, on which to relax and read.